This year – 2018 – has conveyed as guaranteed. 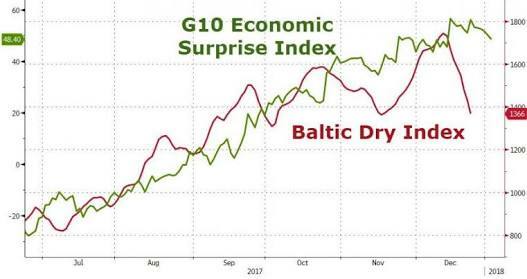 The enhanced key economic situations in the initial seventy five percent of 2018 have seen the Baltic Dry Index (BDI) rise fundamentally – up by 24%, 25% and 41% in Q1, Q2 and Q3 individually, when contrasted and a similar time a year ago. Will Q4 go significantly higher? Improbable. In October 2018, the BDI just enhanced by 4% contrasted and October 2017. The interest for Capesize is confronting headwinds, with Chinese iron metal imports somewhere around 0.5% for the initial 10 months, while the Panamax whole deal exchange of soya beans from the US Gulf to China is relied upon to miss the mark regarding a year ago. While the spot cargo rates for all dry mass divisions are beneficial at current dimensions toward the beginning of November, it is just minimal over a year back this wasn't the situation. Going into Q4, the obscure domain of an exchange war will bring difficulties for the dry mass market. As the pinnacle season for US soya bean fares will without a doubt baffle and recharge the weight on the dry mass delivery advertise, we should not overlook that the recuperation has as of late picked up a toehold. Capesize cargo rates have enhanced the most in Q3-2018 (+51% y-o-y), to some degree against the chances. Chinese iron metal imports are down, while six Valemax have begun their launch from Chinese shipyards to Brazil to stack the primary payload of iron mineral. They bring the aggregate new-constructed conveyances for the year up to 15 Valemax, with 18 still left on the request book, principally for 2019 conveyance. Among the minor masses, bauxite sends out of Guinea-Bissau have been solid for the second back to back year, while the reentry of Indonesia as a bauxite exporter to China is likewise deserving of notice. Transhipments outside the Port of Kamsar has transformed a large number of the new cargoes into capesize loadings for the most part setting out toward the Far East and facilitating the torment of lost iron mineral cargoes. Transportation of scrap metal has been solid in 2018 as well. This market developed by 11 million tons in 2017 (+11%) with another seven million tons (6%) expected for the current year.